Se-ah-dom Edmo, Shoshone-Bannock, Nez Perce & Yakama, is MRG’s Executive Director. She brings deep experience in community organizing for racial and social justice work across the nation. 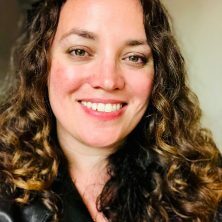 She is co-editor of the Tribal Equity Toolkit 3.0: Tribal Resolutions and Codes for Two Spirit and LGBT Justice in Indian Country and American Indian Identity: Citizenship, Membership & Blood. 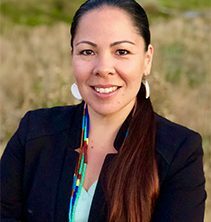 Prior to joining MRG served as the Sovereignty Program Director at Western States Center where she was the coalition convener of Tribal History: Shared History (Senate Bill 13, 2017) in Oregon – this law established and funded teaching of Indian History and Sovereignty in K – 12 Schools across the state. A hallmark of her career has been fostering relationships and collaborations between tribes and organizations that do social, racial, environmental, and economic justice work across the region. 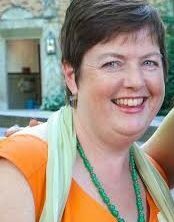 She is currently a member of the Steering Committee of Oregon Recovers and is an ALF Senior Fellow. She lives in Portland with her husband James and their children Siale, Imasees and Miyosiwin, as well as her parents, Ed and Carol Edmo. Se-ah-dom’s ancestors are from Celilo, a fishing village along the Columbia River and one of the oldest known settlements in the West. As a bilingual, bisexual, Jewish, Latina daughter of an immigrant, Dena Zaldúa’s passion for social justice is both very personal and the driving force behind her 20-year career working mostly in philanthropy with non-profits and educational institutions. She has found a home for her calling to bring about a just and joyful world in her work as the Development Director for the MRG Foundation. As Development Director, Dena is honored to manage the fundraising programs of MRG, working closely with donors, board, staff, and volunteers to raise the funds to be granted to the radical, cutting edge, and grassroots social justice grantees of MRG. Before joining MRG, Dena was the Operations Manager for the Center for the Study of Women in Society at the University of Oregon. Prior to that, she was Development Director at Parenting Now and Associate Director of Development at the National Center for Lesbian Rights. Dena also works as a consultant to help individuals, groups, and organizations check their race, class, gender, and other privileges and learn how to truly walk the talk of equity and justice. 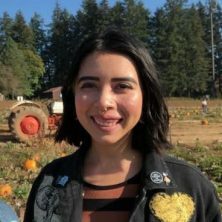 Dena earned a BA in Art History and Women’s Studies from Williams College, and is a member of Hispanics in Philanthropy and the Williams College Latinx and Bisexual, Gay, Lesbian, and Transgender Alumni Associations. Dena lives and works remotely in Eugene with her son. Born and raised in Paraguay—and an Oregonian since 2000—Violeta has dedicated her professional career to improving access to opportunities, services and programs for all Oregonians through her work in the government and non-profit sectors. She comes to MRG from Meyer Memorial Trust, where she worked as a Program Associate with the Building Community Portfolio. 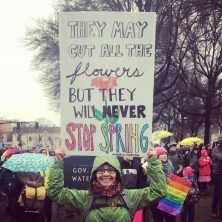 She is also a 2017 graduate of Unite Oregon’s Pan Immigrant Leadership and Organizing Training (PILOT). A passionate advocate for social and environmental justice, Violeta has given her time and expertise to many organizations and causes, both in the US and her native Paraguay. These days, she serves as Board Chair of the ReBuilding Center and is a member of the Metro Parks & Nature Equity Advisory Committee. When not trapped underneath her 12-pound cat, she can be found hiking trails with her partner, learning about various things—often all at once—and spending inordinate amounts of time thinking about how to fix the world. Jude Perez is a versatile professional that brings a deep understanding of non-profit operations, systems, and fundraising to the table. Prior to joining MRG, Jude was part of the Community Cycling Center’s development team where they took joy in grant writing and coordination, database management, and systems creation. Jude’s social justice journey began as an LGBTQI+ rights advocate and grassroots activist in Texas and California, and continues to this day with a broader scope including racial justice, art in activism, education, gender, and income equity. Kelley Weigel is Interim Deputy Director for MRG Foundation. She left her role as Executive Director at Western States Center in the fall of 2017. Previous to her role as ED she served as Associate Director and started out as the Western Progressive Leadership Program Director. 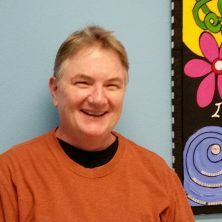 Kelley has also worked on the staff of Rural Organizing Project and Community Alliance of Lane County. Kelley’s first Board of Director service was with MRG Foundation and she has also been Grantmaking Committee Chair. Lindy brings to MRG more than 30 years of experience in non-profit finance and administration. She served on the MRG Board of Directors, Grantmaking Committee and has volunteered and worked for organizations that have received funding from MRG for much of her work life. Prior to joining our team, Lindy worked at the Community Cycling Center, Partnership for Safety and Justice, and River Network.